The Atlanta Symphony Orchestra conductor is in the forefront of a variety of events that look at how music inspired lyrics and how words inspired notes. Photo courtesy of Atlanta Symphony Orchestra. English professor Laura Otis says describing the sound of Bach's St. Matthew Passion is like naming the taste of Godiva chocolate–"there aren't words to describe the sensation." 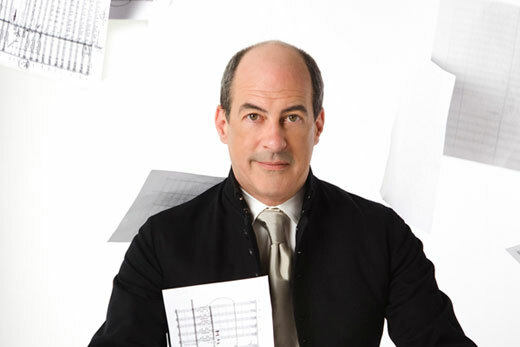 A workshop that questions whether words can express the profound experience of music is one of several events this month with Emory's Distinguished Artist in Residence and Atlanta Symphony Orchestra Music Director Robert Spano exploring the relationship between words and music. While words sometimes fail, the reverse is also true—great literature often serves as musical inspiration. The Robert Spano residency launches on Tuesday, March 20 with "The Classics! An evening in ancient Greece and Rome with songs by Schubert, Brahms, and Wolf" at the Carlos Museum at 8:15 p.m. Emory's faculty and student vocalists perform the German Lieder, with Spano at the piano. Prior to the performance, the public is invited to gallery talks at 7 p.m. and 7:30 p.m., which examine the relationship between the Lieder and the ancient world. Carlos curator Jasper Gaunt will talk about how poets such as Goethe and Schiller, inspired by Greek and Roman culture, in turn inspired the Lieder composers. Gaunt explains that the 18th century excavations of Pompeii sparked a revival of interest in classical antiquity. His discussion will provide historical context and examine some of the ancient mythological stories that inspired their poems. He will conduct a tour to show ancient Greek and Roman sculptures in the museum's collections found at the time of Goethe and Schiller. The event is free, but reservations are required by calling 404-727-6118. Ancient sources of inspiration are also found in Susan Botti's 2010 chamber work "Gates of Silence." 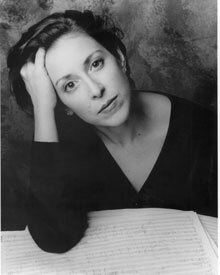 The singer, composer and Coca-Cola Artist in Residence based her work on Virgil's epic poem "Aeneid" and a commissioned poem "Dido Refuses to Speak" by National Book Award finalist Linda Gregerson. Botti discusses the lyrics in music with Spano and Gregerson in a Creativity Conversation, Thursday, March 22 at 4 p.m. in the Carlos Museum. In addition, the Carlos Reads! book club focuses on the "Aeneid" with discussions on March 19, 26 and April 2. Intersections of language and music are explored in "When Language Meets Music" on Thursday, March 29, 4-6 p.m. in the Schwartz Center for Performing Arts. Otis and Spano join composer and professor Steve Everett, scholar Yayoi Everett, poet Richie Hofmann, and novelist and associate professor Joseph Skibell to exchange ideas about questions such as how does a songwriter combine notes with words? Can one express in words the experience of making music? Can a line of music convey a verbal thought? Through performances and dialogue, Spano's residency inspires a wide range of events. Other public events with Spano include Emory Chamber Music Society of Atlanta concerts on Sunday, March 25 and Tuesday, April 3; and a joint critique with soprano Dawn Upshaw on Thursday, April 5. Visit arts.emory.edu/spano for event details.